Tactical boots are very useful and have many good qualities. They can be used on a daily basis at work if you work in a job that requires a whole load of numerous things, like working in the military, or maybe you work as a police officer. The tactical boots will be able to protect your feet from anything falling on them so it can save them from a lot of damage if you work somewhere that can be quite dangerous at times. Tactical boots are really able to save you from a lot of injuries as well that’s why it’s always worth investing in a pair. View the Best Tactical Boots, Below. How to Clean Tactical Boots? How to lace Tactical Boots? Therefore, we’ve put a list together of all of the best tactical boots around so you won’t have to be searching for ages to find your ideal pair. If you work in the military, then these boots will be ideal for you. This is because they have a very professional look to them and they are ideal for the conditions that you would be working in. They have a breathable, moisture wicking lining so it will stop your feet getting sticky and sweaty when you're wearing them. They have a durable rubber outsole that has actually been made to give you maximum grip on a range of different terrains. They have a removable shock absorbent cushion. They also come with a one-year manufacturers warranty, so if you do have any problems with them, it can easily be solved. We liked these tactical boots because they are also lightweight and flexible on your feet, plus, they have an EVA midsole. 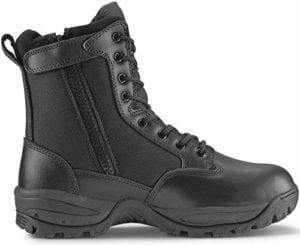 These tactical boots are great if you’re looking for something that is very sturdy and reliable. They are made from 100% leather and Cordura. 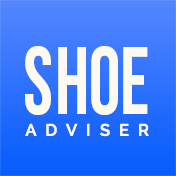 They also have a stable underfoot platform, and they also have a more narrow fit, which ensures that your feet will feel snug when you’re wearing them. Plus, this is also very ideal if you’re planning to wear them for an activity that requires you to have a lot of support on your feet. Not only this, but you can also purchase them in a wide version as well, so they should be able to fit any foot size. We liked this product because they come with a very stable underfoot platform and they are also very durable so they will last you a long time. 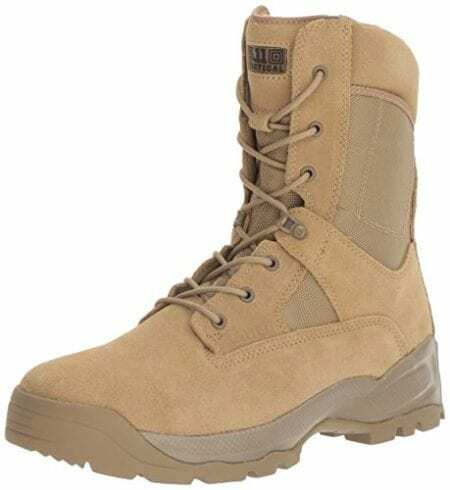 If you’re going to be working in a desert, then these military boots will be perfect for this. This is because they are available in a sandy color so they can be easily camouflaged. Not only this, but they have also been designed to be very light on your feet so they won't feel as if they're weighing you down at all. The outsole is able to resist anything that comes into contact with it; it can even resist things like oils, chemicals, and metal chips. Not only this, but they are also water resistant and very fast drying so they won't stay wet for long at all. We liked these tactical boots because they can actually resist anything that comes into contact with them, which is very useful if you’re running through different conditions. 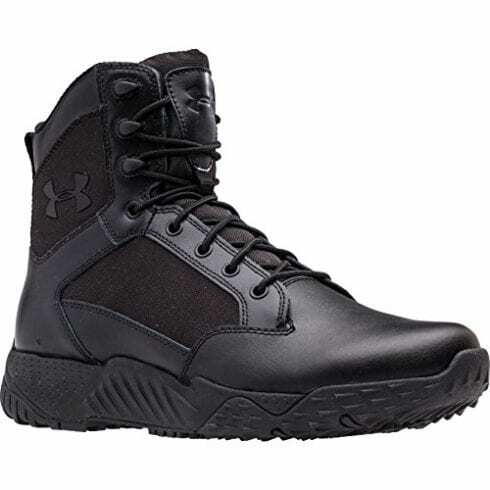 These tactical boots aren't that high up, so if you're looking for something that is a bit more flexible on the upper part of your shin, then these will be perfect for you. They are made from synthetic materials and are available in a variety of colors so they will be suitable for any conditions that you may be going in to. They have a UA clutch fit technology that actually is able to wrap your ankle with a lightweight second skin; this will provide you with powerful support and an incredible feel. Plus, they will also allow your feet to be able to breathe without any difficulties. We liked this product because they are made from such high quality materials and you can feel this when you’re wearing them. If you’re looking for a pair of tactical boots that are very lightweight on your feet, then these are truly ideal. They have a cushioned removable insert as well, so if you want to you can easily remove it. Plus, they also have a durable and slip-resistant outsole, so if you're running anywhere that has slippery conditions, then you won't need to worry about falling over. Not only this, but they also have a high top that has a lace up vamp as well as breathable lining. They are made from 100% leather and fabric, so they are guaranteed to last you a very long time. We liked these tactical boots because they also have a safety toe and you will never be able to slip over when you’re wearing them. These tactical boots can be used for a whole range of things that include, hunting, hiking, yard work, or even combat activities. They are a very solid type of boot and are 100% leather and textile, which means that they can actually withstand all different types of weather conditions; therefore, they are suitable for work and exploring purposes. Not only this, but they will actually last you a very long time because the leather is made to last and you will also notice that it’s very durable. They have a breathable tongue design that will allow your feet to be able to get maximum airflow. We liked this product because it also has a hidden knife pocket, which makes them very ideal if you work in the military. If you’re looking for a pair of tactical boots that are very easy to run in, then these have been made for you. This is because they are extremely flexible, you don't even have to worry about breaking them in at all. Another feature you get with these tactical boots is that they are very quick to dry, so if they get wet at all, they won't stay wet for long. They are made from 100% leather and textile and they have an anti-odor technology, which is able to prevent any odor sticking to the sock liner, and it will prevent the growth of it too. We liked these tactical boots because the anti-odor feature is really amazing, and you won’t get any nasty smells on your feet or in your boots no matter how long you wear them for. 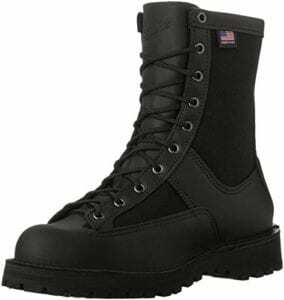 These tactical boots actually come with an anti-bacterial drilex lining; therefore, you are able to keep your feet and your boots clean with no hassle whatsoever. These tactical boots are suitable for many industries; for instance, you can wear them if you’re in the military, law enforcement or even if you’re in the firefighting profession. 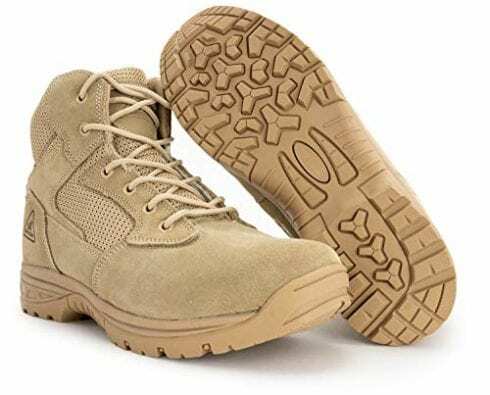 They will last you a very long time and are very durable because they are made from such high quality materials, which makes them a very reliable tactical boot to purchase and wear on a daily basis. They also have a very strong synthetic sole that will never allow you to slip over. We liked this product because you can instantly tell that are made from very high quality and sturdy materials. 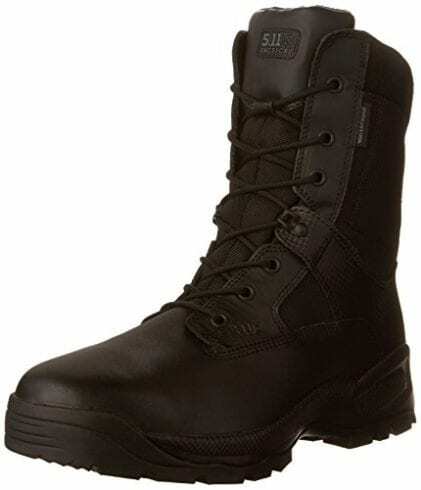 If you're looking for a pair of tactical boots that you can feel safe to buy, then these will be perfect, as they offer you free returns and a 100% satisfaction guarantee. These boots are made out of leather and nylon, so they will last you a very long time, and they will take a very long time to be worn out as well. They have a breathable mesh lining, so you’re feet won't get sticky when you're wearing them. They also have a removable shock absorbent inner, and they come with a padded collar that is able to prevent any blisters forming on your feet. We liked these tactical boots because they are able to prevent any blisters or sores from forming on the back of your foot, as they have a padded collar. 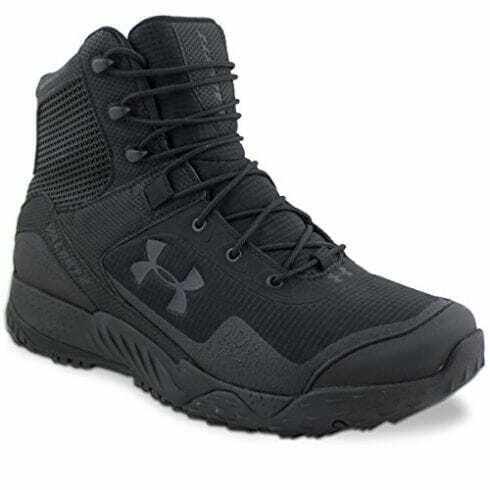 These tactical boots are very lightweight so you won't have to worry about them feeling too heavy if you have to start running quite long distances. They are also very durable and will be able to last you a long time, if you do happen to run in them you will instantly notice how flexible they are on the bottom of your feet. They have a superior grip on the bottom of the sole because they have been made with a GENflex 2 dual-density technology. Not only this, but they are also able to resist slipping if you run over oil or other slick surfaces. We liked this product because no matter what you run over they will not make you slip, which is a very useful feature if you need to get away from something quickly. When it comes down to deciding what tactical boots to purchase it can create quite a big dilemma. This is because a lot of them have a whole load of different features to compare and choose from, and this is what makes the decision difficult. Therefore we’ve put together a little list of the things you need to look out for before you do purchase a pair of tactical boots. 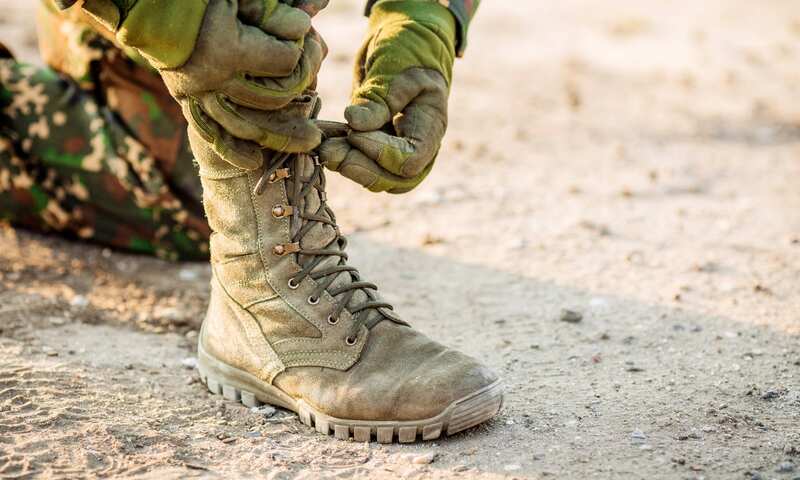 What the material is on the outside of the tactical boot is very important, this is because they will need to be made from something really very sturdy, durable and reliable. 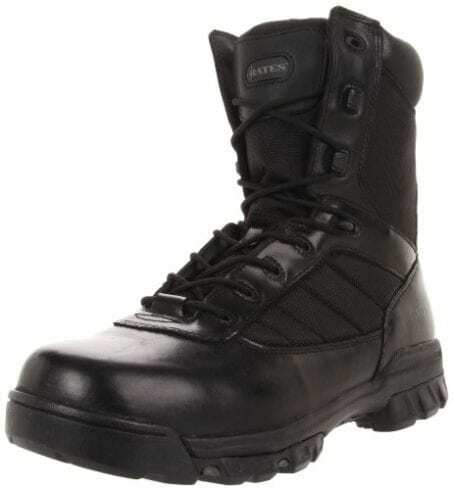 Most tactical boots tend to be made from both leather and other fabric or synthetic materials. These types of materials are the strongest types of materials that they can actually be made from, and they are guaranteed to last you a very long time. Other materials may still be good, but you will need to read the description to see exactly what they can offer you, as some of them may actually have different features. 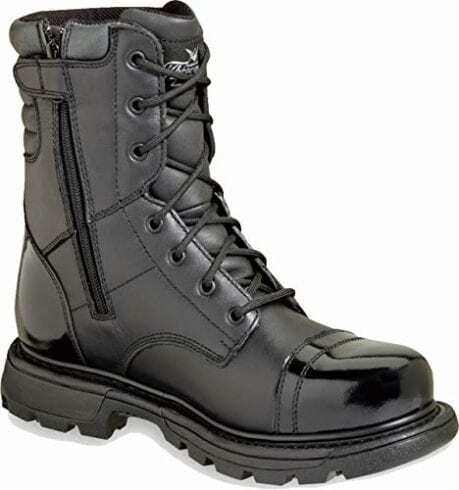 The design is a very important factor about a tactical boot; you will notice that some of the tactical boots may be higher compared to some of the others. This is just one of the features that you need to look at, because if they are higher up, then it’s likely that they will be able to support you a bit more and they will also be able to protect a bit more of your leg. Not only this but the more material that the tactical boot has, the more likely that the boot can have additional features like hidden pockets. These types of features are really ideal if you’re working in the military, as it will allow you to store other weapons, so you can defend yourself. Plus, some of them may have features to prevent you from getting any blisters or sores. This is a very useful feature that you should really consider because it will actually make it a hell of a lot safer for you when you’re running about on your job. It is able to make the boot not slip on liquids like oil and even other more dangerous chemicals. If you need a pair of tactical boots for your profession, then this is definitely something you need to consider, as you never know what situation you might be running in to. 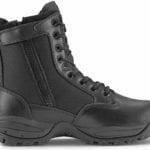 Tactical boots are boots that have been specially made to be able to keep stability in mind. Therefore they are able to handle different types of terrains that you may want to walk or run across. They can actually be used for numerous things, for instance; they could be used in the military or they could even be used for hobbies like walking. They have been specially designed to give your foot and ankle extra support when your completing tasks that might require risks, this is also able to benefit your feet because the tactical boots have been specifically designed to protect your feet under extreme stress. Even if you have to carry items that may be too heavy for your specific body type, then the boots will be able to help and guide your feet through these tough missions. 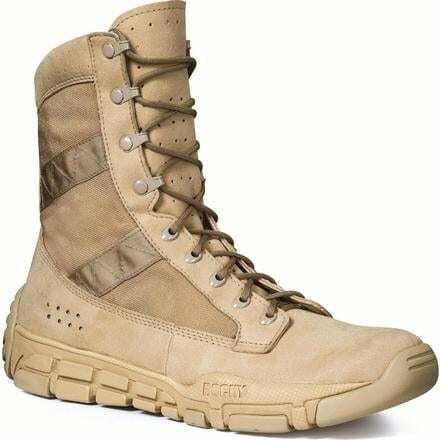 Your tactical boots are bound to get dirty at one point or another, whether you are out hiking or even just on the streets they are able to get dirty anywhere you wear them. It can be quite difficult to clean them because one thing you don’t want to do is put these types of boots in the washing machine. If you were to do this the boots will either be ruined or your washing machine will be. Before you do go to clean your tactical boots, it’s best to find out exactly what material they are made out of. You will be able to find this out in the description of the product. This is because each different material will need to be cleaned slightly differently. Firstly, you will need a soft bristle brush to brush away any dried mud or dirt that will be on the boots. If there are any marks or scuffs on the boots, then you will need an eraser to remove these. If there are more marks on the boots that won’t come off with either of the methods above then you may have to dampen a cloth in white vinegar or a gentle detergent, this will get any stains off that have been a bit of a problem to get rid of. First of all, you will need to put the boots on your foot then pull your socks up so they go further up your leg compared to the tactical boots. The laces should then be put into the first two holes at the bottom of the boot, so they create a horizontal line. After this you will need to cross each of the laces over so they create a diagonal line either side, kind of like an ‘X’ shape. Then rethread them through the next holes that are just above it and carry on this pattern until you reach the top of the tactical boot. You may notice that once you reach the top, there may still be quite a bit of lace left over. You can then join both of the laces together and start wrapping them around the top of the boot. Once you have wrapped them around the boot twice, you will then need to take whatever is left over from the lace and push it under the lace that you have just wrapped around the boot, so when you pull the lace through it, it should be facing towards your head when you hold it tight. After you have done this, then all that you need to do is tuck it into the inside of the tactical boot. There are many different tactical boots that you can purchase online, or you can even purchase them from specialist stores in the United States. 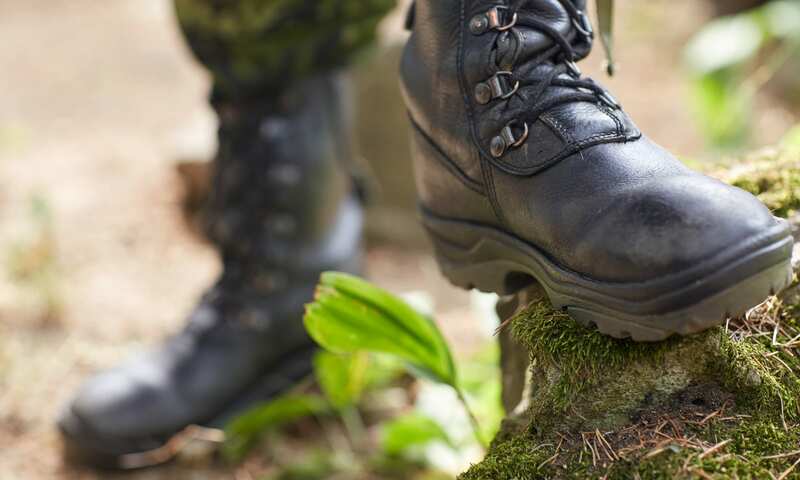 Tactical boots can be very useful to wear, and if you’re in a profession that requires you to run on a range of different terrains or in a variety of different weather conditions, then these are ideal. This is because they have many suitable features that will prevent you from having any difficulties running on different surfaces, for instance, a lot of them have an anti-slip feature. It’s important that you do compare the different tactical boots that you find online because quite a lot of them will have different features when you compare them to one another. Therefore you don’t want to end up purchasing a pair that might not have as many amazing features compared to another pair. Another thing to always look out for are the factors that we’ve discussed in our buyers guide before you buy a pair of tactical boots. If you want to make your tactical boots the shiniest ones while you’re at work, then it’s best to use a veteran boot buffer to be able to do this. Learn to clean them here. Tactical boots are actually able to increase your speed, agility, your ultimate performance, and your accuracy. Therefore they will never hold you back. We hope you enjoyed our article on "10 Best Tactical Boots in 2019", if so, please share and rate it.